In the summer of 2005 Ben and Jaro Benes, brothers from hard-hitting Philly band, Little Joe Pinto, wanted a change…a change in musical direction, a fresh lineup, a new beginning. Change came with the addition of Jerry Decker (drums) in the fall of 2005. The final piece was set in place late in the summer of 2007 with the addition of Bob Kerr (bass). They called the project Evolv to symbolize the metamorphosis within their music; a mixture of vocal harmonies, experimental guitar and driving percussion. 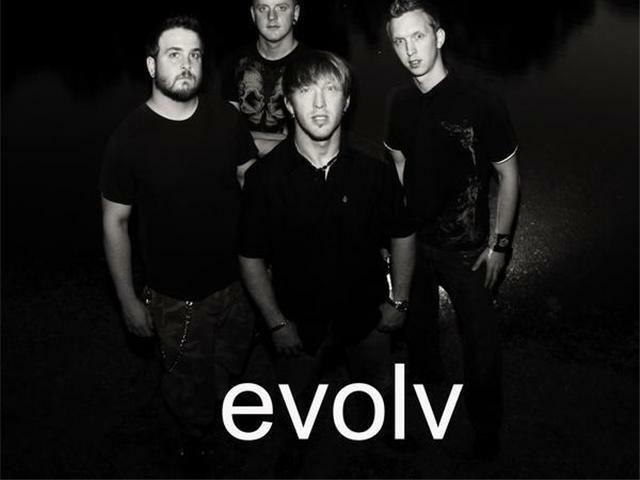 Evolv captivate their audience offering a unique sound as well as a polished and energetic live performance. Since the release of their first self-produced album “Fragments” (2006), Evolv has continued to develop their sound and push the boundaries of modern hard rock. Playing venues in Philadelphia and the surrounding area is where this band truly feels at home, and if you ask any of their fans they'll tell you that's where they truly thrive. Whether they’re playing a large gig in front of thousands like the X-games Main Stage, or the Philadelphia Music Conference or just a local bar, this band delivers the goods, time and time again—no matter how big or small the crowd. This consistency in their performance and the energy they bring to the show is what keeps fans coming back for more, and instantly catches the intrigue of those within earshot who are sure to soon find themselves a fan. Evolv takes pride in their "do it yourself" approach to music, but it doesn't end there. Together they design all of their merchandise and media outputs such as music videos, promo and photo shoots, stickers, clothing & apparel, album art design, Web design and development, just to name a few. With influences ranging from Peter Gabriel to Sevendust their music reflects a collection of styles and songwriting abilities that are catchy without being cliche, and aggressive without being caustic. Honestly their music is best described simply by listening to it, the experience tells more than words can. After all, that is music's greatest gift—to communicate something greater than words alone can do.